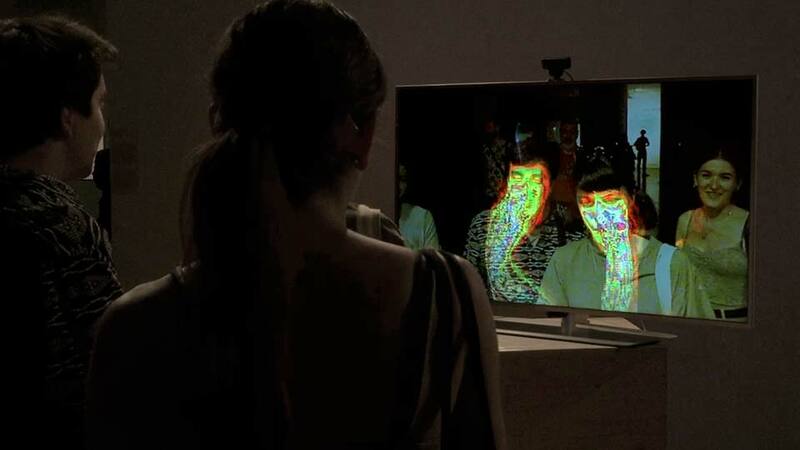 face tracking by surveillance cameras, etc. 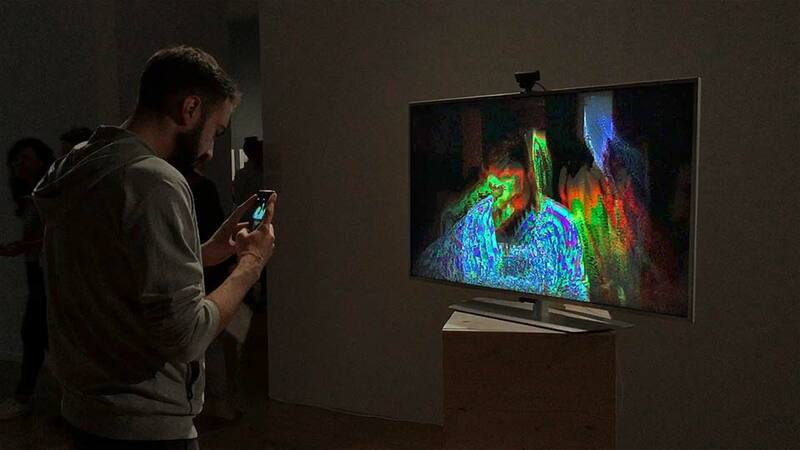 Our face became a major target of science and computing in the era of digitalization and machine learning while biometrics invade our daily lives. VISAGE R-0-R turns the tables. 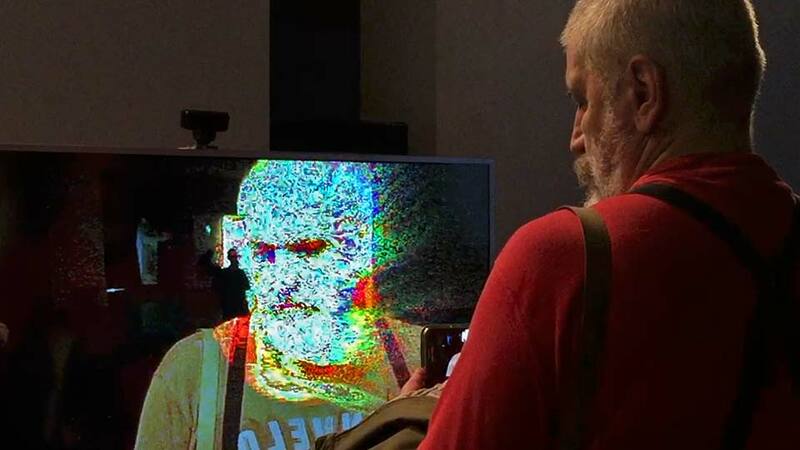 It uses face detection but “teaches” the computer a kind of “anti facial recognition system” which deconstructs the faces and melts them down to a stream of errors and artifacts. 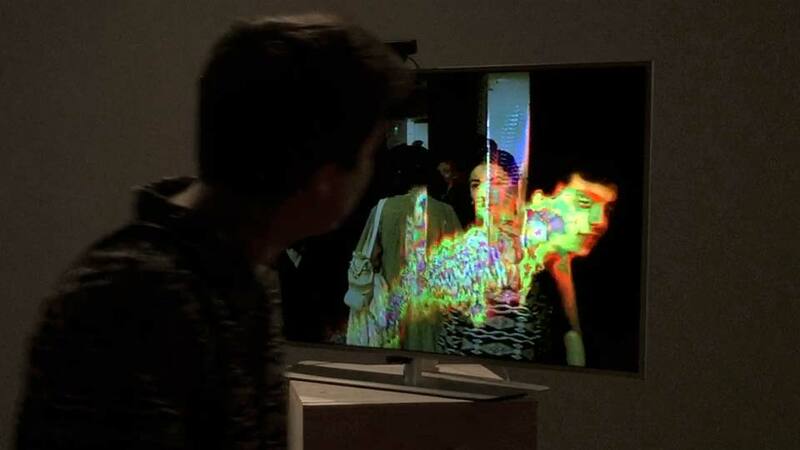 The closer you look into the digital mirror the less you see yourself. The interactive soundtrack uses the infamous last words of Donald J. Trump´s inauguration speech, ending with “… we will make America great again”. Trump is a major force behind increasing surveillance. 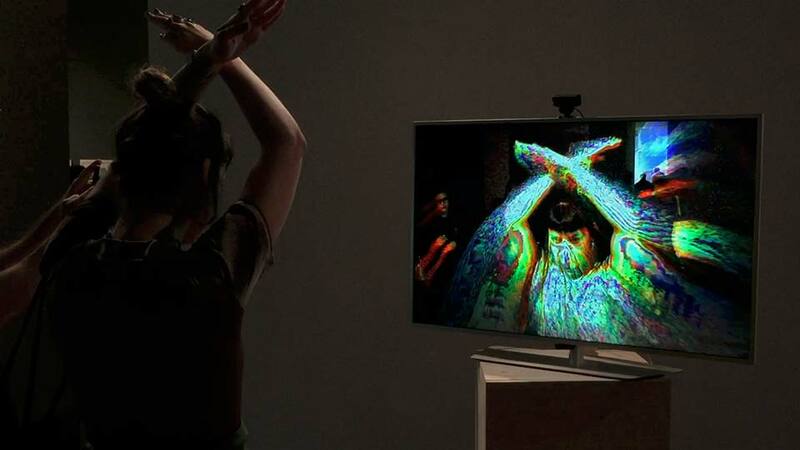 In the installation his words only become audible when a face is detected and are subsequently alienated by the movement of the user.